Happy 4th of July! Today we celebrate not only our country’s independence but also the arrival of the Sisters of the Holy Family of Nazareth to the U.S. in 1885. As we prepare to celebrate these momentous occasions, I want to share with you an email I received this week from a good friend of mine, Phil Scrimenti. Each January, Phil volunteers to chaperone a group of students from the Newman Center at Allegheny College in Meadville, PA to our Provincialate in Des Plaines, IL. The students spend a week in the Chicago area doing service work. Phil's beautiful email reminds me, and hopefully you too, that we must open the doors of our hearts each day and let Christ’s light shine in. Thank you for all of your reflections. They are all very inspiring and thought provoking. I was particularly taken by last week's newsletter discussion of light and its importance to our Christian journey. It reminded me of a story. 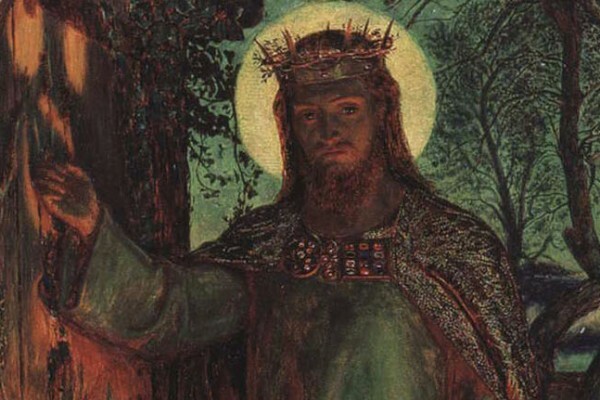 There was a buzz among the artist community of London in 1851 for the great English Pre-Raphaelite artist, William Holman Hunt, was going to unveil his new painting. He was a very popular artist and all were looking forward to experience his new canvas creation. When the painting was undraped, the crowd was initially awed at what they saw but then, countless people burst into laughter. They saw a painting of Christ knocking at a wooden door, holding a lighted lantern. The painting was filled with color, beauty, and design [pictured above]. To find the Christ (the Light), we must open up the door from the inside and let Him in. Your reflection encouraged each of us to answer the question as to how we help everyone to shine and give them the right light. Maybe the answer has something to do with opening the doors of our hearts and letting the Light of Christ come in. That Light will penetrate through our self-centeredness and narrow view ourselves, others, faith, etc. For goodness sake, pull the handle and let Him in! I wish you God’s Peace!